The first step after removing the fabrics that would go on the sale was to organize. The shop looks so clean and open! People keep commenting that the shelves look so empty....but don't worry, we have fabric in the storage room just screaming for a place on the shelves. Our color wall made a move to the area you see when you first walk into the shop. Along with the color wall we will feature our new modern and funky fabrics (my favorites). We will be hosting "What's New" in this area as well. Our couch is coming back! It's not here yet, but for those of you that remember, it was the hangout spot for all the men that get dragged along to the quilt shop. We are hoping to always have a little "home" set up complete with decorations for your kitchen, living room, and bedroom. This is a work in progress, I will post photos as soon as it's done. Batik's stayed in the same place and Civil War fabrics join them behind the cutting counter. Our purse collection found a new home under the cutting counter. It's WAY better than the coat rack we had overflowing with bags. Our children/baby fabric made a move too. Don't worry, we still have 30's fabric, they just have their own area now right around the corner from the kids. We can barely walk in the design studio but that doesn't mean that we haven't been sketching. The antique hutch made a move, but the coffee is still always on and the cookie jar is always sometimes full. The notions wall received a much needed make over. You will find all the rulers and purse accessories on the wall in front of the classroom. You will find all other notions and thread on the wall near the register. Holly added a small gift area with her "Razz-Dazz Boutique" featuring Paparazzi hair accessories and costume jewelry. She's always running around with something cool in her hair and now you can too. Everything is $6.00! 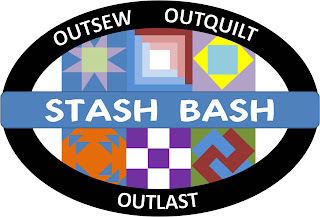 Our biggest accomplishment this month is getting Stash Bash invite mailed to every Quilt Guild and Quilt Shop in Minnesota, North Dakota, and South Dakota. 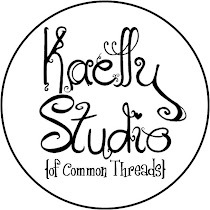 If you are a member of a guild or shop owner and you don't receive one by next Monday, and would like one, please email me at commonthreadsmn@gmail.com. For more details on the event click on the Stash Bash logo above! As you can see, we've been busy bees and we haven't slowed yet. Keep checking back for all the fun things we have coming up. 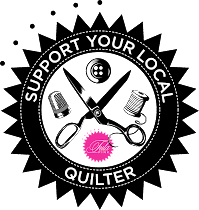 Don't forget, every dollar you spend from now until March 23rd turns into two Quilt Bucks for our Relay for Life Auction on March 24th. Also, we still have a few spaces available for Super Sew for Super Bowl. Email common@gctel.net to reserve your space.